For Good Samaritan Sister, Mary Scanlon, a recent pilgrimage to Europe following in the footsteps of three “modern-day saints”, gave her time and space to reflect on an unexpected and dramatic change in her own life. Mary returned to Melbourne last month after a three-month pilgrimage which took her to Germany, Poland, the Netherlands, Belgium and Israel. But this pilgrimage was part of a much bigger journey that began some two years earlier. Toward the end of 2011, just as Mary was preparing to set off on a sabbatical walking the Via Francigena – the 1,900-kilometre pilgrims’ route from Canterbury in England to Rome in Italy – she was confronted with a life-threatening illness. An unexpected diagnosis of advanced bowel cancer that had travelled to the liver and lung, and a 20 per cent chance of survival, brought Mary’s walking plans to an abrupt halt and propelled her on a very different path. 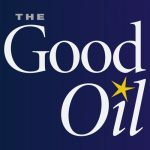 “That brought about a huge, dramatic change in my life,” Mary told The Good Oil. It was during 2012 that a friend introduced Mary to three extraordinary women of the twentieth-century – German-born Edith Stein and Sophie Scholl, and Dutch-born Etty Hillesum. During the horrors of the Nazi regime, each stood firmly for what she believed in despite the consequences. Mary didn’t know much about these women, but before long she was drawn deeply into their lives. “I read about them and I prayed to them in my illness because of how they lived their lives and the way they died,” explained Mary. “They became significant people in my life… To me they are modern-day saints – they are signs of light and hope”. Mary was attracted to qualities that the three women shared, particularly their “great hunger for truth”, “very deep, rich prayer life”, “bravery” and “exceptional courage”. For Mary, “blessings” emerged out of her sickness. Spending time with her father in the last year of his life “was special and very dear to me”. Then there was the “wonderful news” that she’d had “this remarkable recovery”. “The doctors just can’t believe [it],” she said. Once Mary got the “all clear” to travel, she keenly resumed her pilgrimage preparations. But instead of walking the Via Francigena – “I knew I wouldn’t be able to walk and carry a backpack” – Mary wanted to follow in the footsteps of the women who had inspired her during her illness. Carrying only a small suitcase, she travelled on “the trams and the trains and the buses” and went to the places where Etty, Edith and Sophie lived and died. Mary said her pilgrimage included many highlights, but a few experiences loom large, including her visit to the notorious Nazi concentration camps, Auschwitz in Poland, where Edith and Etty died, and Dachau in Germany. “You can’t describe the feeling,” she said. Standing in the grounds of Munich University where Sophie Scholl and her brother Hans were arrested for their involvement in the White Rose Movement, a non-violent resistance group that opposed Nazism, was an “unforgettable moment”. Mary also visited the prison where Sophie and Hans were executed, and the cemetery where they and other members of the White Rose Movement are buried. “This had a profound effect on me,” she reflected. Mary has found “a new sort of silence” as a result of her pilgrimage. She’s also gained “a much bigger picture of the world”. Settling back into Melbourne life she’s aware of “a pull inside of me to just want to stay still”, “to keep on savouring” the whole experience, and to let it “sink deeper in”.